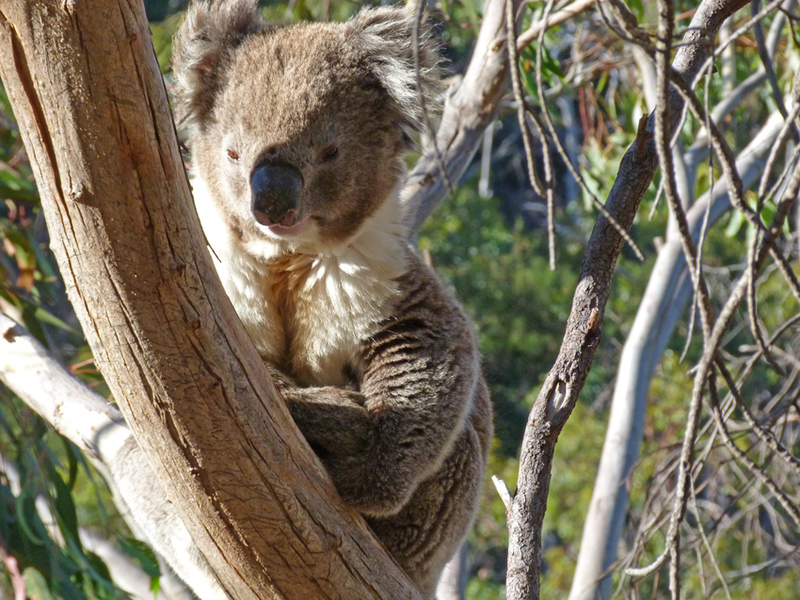 The koala is well camouflaged and firmly wedged between two branches in a stunted eucalyptus tree which is growing on the edge of a steep slope. Getting a decent shot involves scrabbling through some spiky acacia bushes and perching myself precariously on the edge of a rocky outcrop. But a quick glance at the playback screen suggests that the effort has been worthwhile and a few more scratches on my legs are ‘par for the course’ in this terrain. I am half way up Anstey Hill on the north eastern edge of the Adelaide Hills. 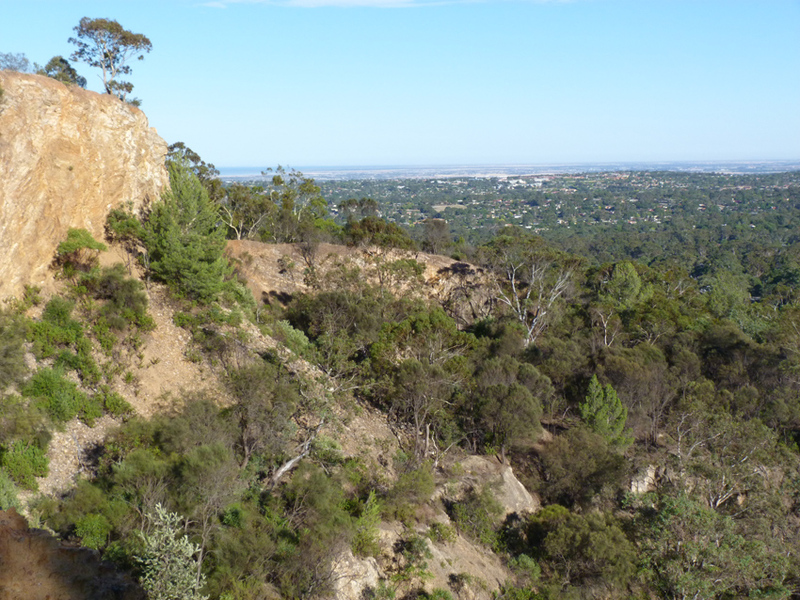 This ‘hills face’ recreation park is part of the in the Greater Mount lofty Parklands and one of several reserves that permit hiking, walking dogs on leads while banning camping, mountain bikes and the lighting of any fires. 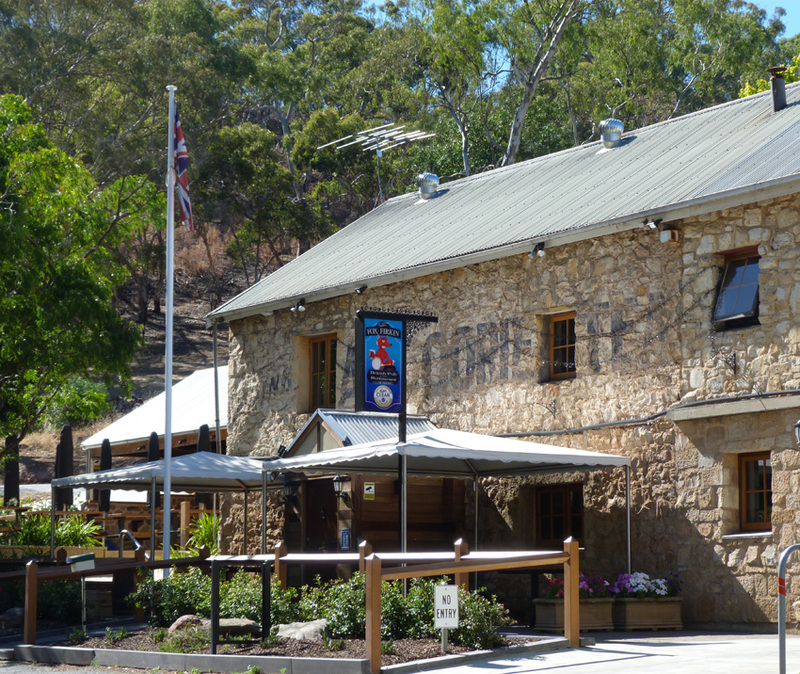 Anstey Hill is only 8 Kms from the CBD, easily accessed from several major roads and close to quite a few reputable hotels and restaurants. In short, an ideal destination for a morning or afternoon walk followed by a meal and a glass of wine. Satisfied with koala image I start take a winding trail towards the top of the hill emerging on its northern flank where the view across the cliff face towards the city and coast is quite spectacular. A winding trail skirts the ridge and there are still some late blooming wattles and melaleucas clinging to the rocky outcrops and a small group of new holland honeyeaters are feeding on the blossoms and hawking for insects. 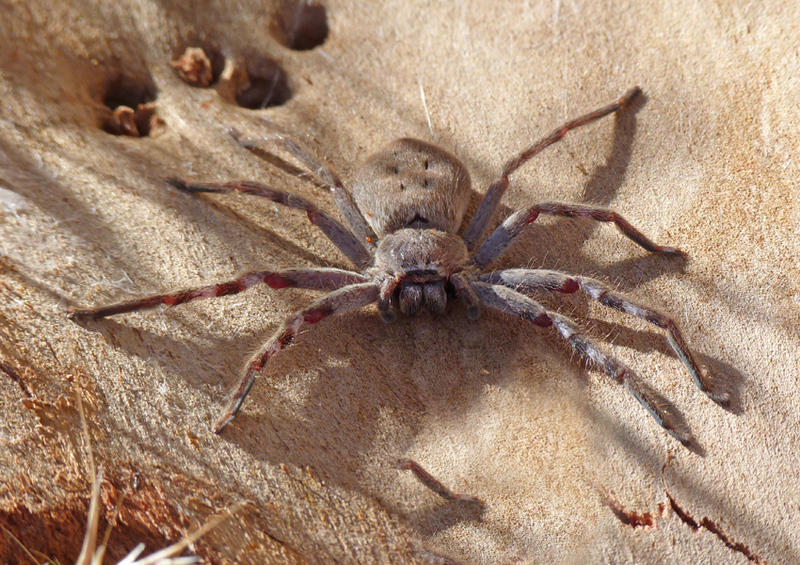 Further along the trail a small stand of eucalypts pushes up through the lower layer of scrub and many of them are losing their outer layers of bark….an ideal opportunity to look for huntsman spiders which often search for prey in this micro environment. And luck is on my side after a little foraging a piece of bark with a sizeable huntsman comes away from the tree. These large spiders often come into suburban homes where they stay high on the walls and eat a whole collection of unwanted pests from mosquitoes and flies to earwigs and roaches. I turn south at the top of the hill and head through a little section of bush that has recently been burnt. 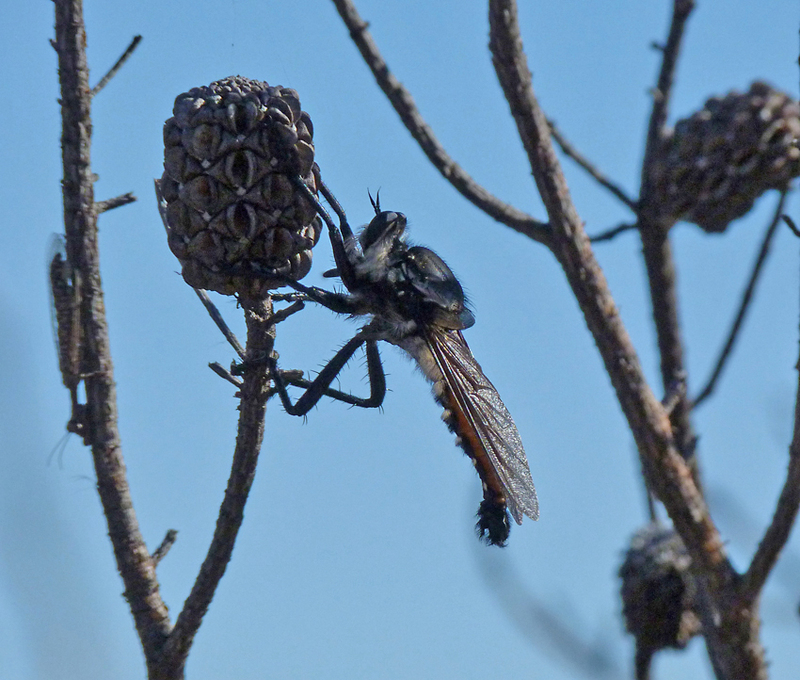 To my surprise a large, dark robber fly is perched on one of the blackened branches magnificently camouflaged as it waits for smaller insects to ambush. 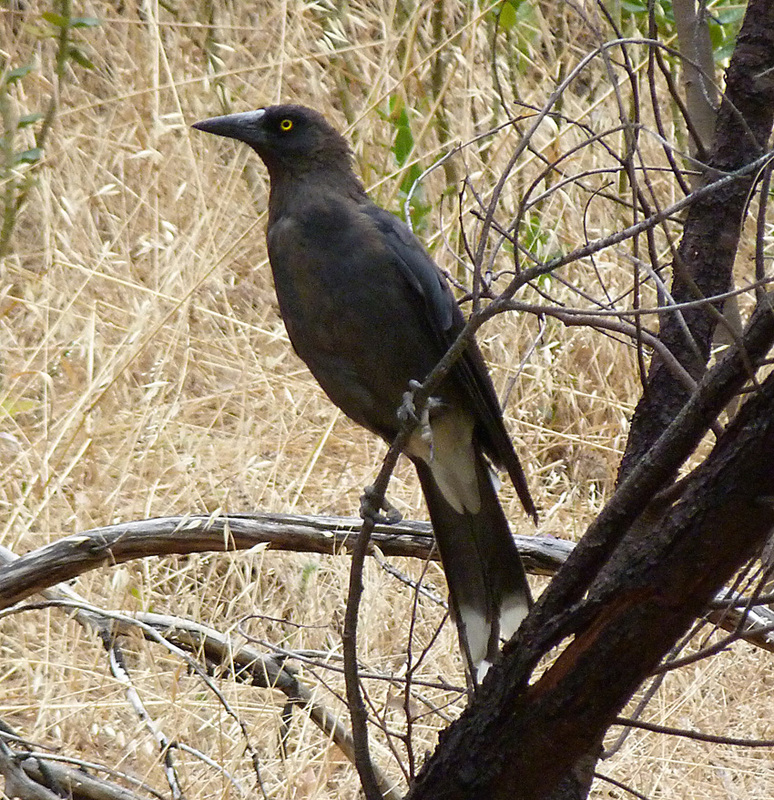 My final wildlife encounter is with a pied currawong. Related to crows and magpies these large omnivorous birds are not common on the Adelaide plains and prefer the higher elevations of the Mt Lofty Ranges. I have never seen them around this area before and have few photographs consequently; this capturing this image was quite a treat.